Calendar Page: Every event, big format, take a look! Comedy Benefit (Monday, May 20th, 2019, 7pm) The COMEDY BENEFIT is Back by Popular Demand! Bob Greenberg, Producer, Emcee and Comedian (pictured below) has created a hilarous show for us, starring Stand-Up Comics As Seen On TV: Bernie Berns, “King Of The Catskills,” Sandy Ehlers, Mike Fine, Rhonda Hansome, Barbara Heller, Dave Konig, Nancy Lombardo, George Saltz, plus, A Surprise Special Guest! With Ira Allen on Piano and Carmen Goldberg, Vocalist. Wine & Cheese after the show. Buy Tickets Online Now, by phone, or send a check made out to The Actors’ Temple. Come out for a great night of comedy! Passover Holiday Services (Apr 20-27, 2019) In addition to the services within our second night Community Seder, we also invite you to attend our three Passover Morning Services:Saturday, April 20, 10:30 AMFriday, April 26, 10:30 AMSaturday, April 27, 10:30 AM for a Yizkor ServicePhyllis Malamud sponsors the Oneg Shabbat on April 27th in loving memory of her Mother, Hannah Unterman Malamud. Purim Spiel: KISS ME ESTHER! 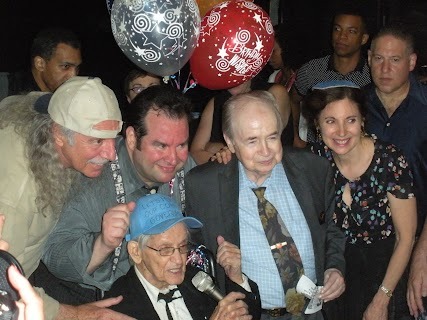 (Wed, March 20th, 2019, 7pm) Service, Megillah Reading, Original Spiel written by Bob Greenberg; with professional actors and pianist James Besser, Sing Along, and many shenanigans! An Oneg with Hamentaschen and wine follows the hilarity. Come one, Come all to Brush up your Shakespeare! Starring: Aron Bederson, Barbara Bova, Lilly Galperin, Bob Greenberg, Joan Jaffe, David Mohr, Judy Rosenblatt, Mireille Villlarqui, and Rabbi Jill Hausman. Shabbat and Holiday Services We offer services for Shabbat and most Jewish Holidays in our beautiful and historic sanctuary! Fridays, 7 PM: Service & Oneg Shabbat; on select dates additional programming included. Saturdays, 10:30 AM: Chavurah-Style Service, Torah Discussion in English & Oneg Shabbat; on select dates Torah reading by members and staff.Holidays: Check our calendar for exact dates/times of any Holiday service. Note that some holidays are celebrated as part of the closest Friday night Shabbat service. On rare occasions there are exceptions to the above, so please check back right here or look at the Calendar to make sure! LGBTQ Pride Shabbat (Fri, June 22nd, 2018, 7pm) Service, Talk-Discussion, and Oneg Shabbat in honor of Pride Weekend and all persons LGBTQ. 3rd Saturdays 10:30 AM: Torah Reading & Breakfast: Opportunities to chant Torah portions. Sponsor an Oneg Shabbat or a Musical Service, in honor of: Birthdays, Anniversaries, Births, Graduations or any Simcha. We have services on all the major Jewish holidays. Learner's service in conjunction with Shabbat Across America and Canada. More about Shabbat and Holidays on the Prayer page. 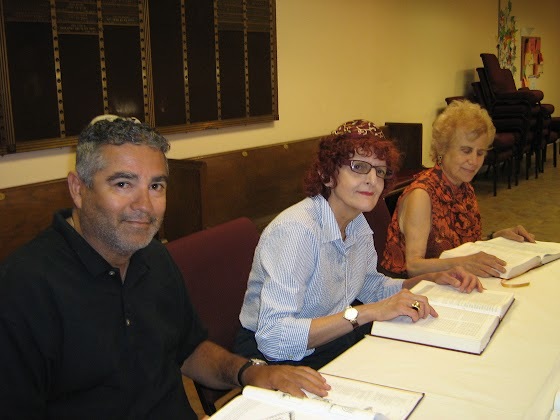 Adult Torah Study: Join us Wednesdays 7:30-9:30 PM, studying the Torah, Prophets, and Writings in English with Rabbi Jill at 96th Street. You are invited to join us by phone or in person. Please contact us for more details concerning what we are currently studying. Conversion and Adult Bar/Bat Mitzvah training. One day Hebrew review class in conjunction with Read Hebrew America and Canada. More about education on the Learning page. Our sanctuary space also serves as a theater venue, run by a production company separate from the synagogue. A portion of all ticket sales directly benefit the synagogue, and help us to maintain our historic building. Come and enjoy! 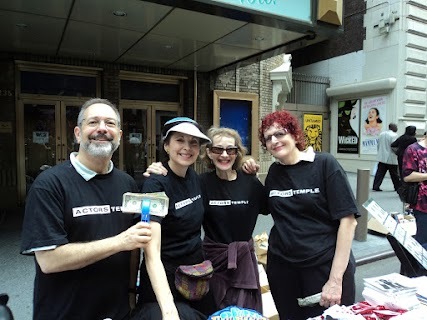 Please visit the separate website of the Actors' Temple Theatre for more details and information concerning these unique and exciting shows, including their performance schedule and ticket purchasing.